If you were to drive from Florence to Siena via the highway Chiantigiana you would drive through a town called Panzano and if you had any sense about you, you would stop and visit Il Molino di Grace Winery. Yesterday I was fortunate enough to taste a selection of their wines here in Hong Kong courtesy of Altaya Wines. 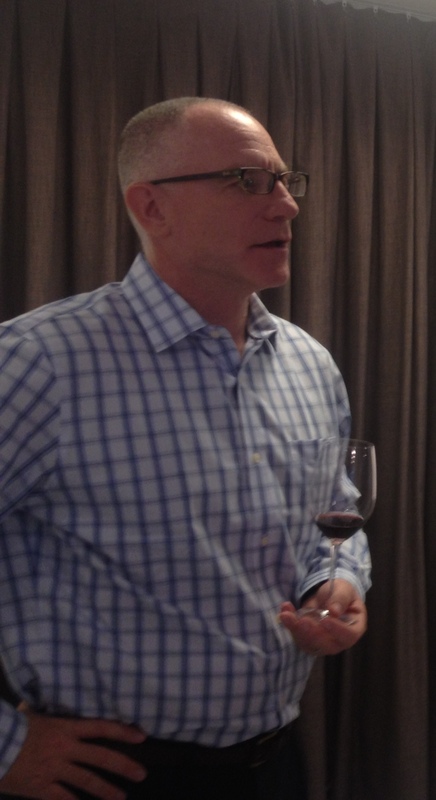 The very personable owner and Winery Director Tim Grace presented five wines, all made entirely from Sangiovese. Il Molino di Grace translates to the windmill of Grace and is a reference not only to the family name but to the 19th century windmill located at the winery. After listening to Tim talk about the philosophy behind the wines, the windmill could also be viewed as a metaphor for their approach to winemaking. The driving force behind the wines is a desire to create a wine that “tastes and smells of the location” and that “brings you back to Italy”, ensuring the history, or sense of place, is preserved. 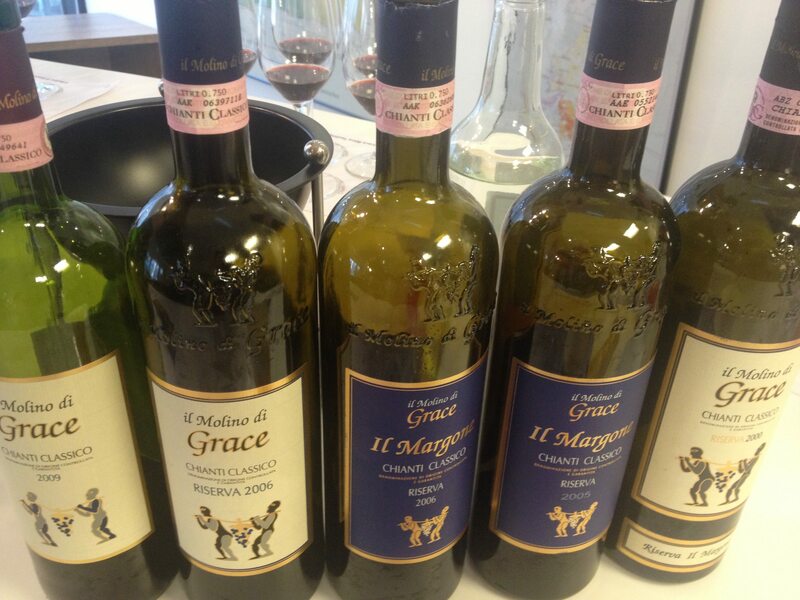 And so it is with tasting wines from Il Molino di Grace – they could indeed be from no other place than the home of the Sangiovese grape, the Chianti Classico region in Tuscany. With only Sangiovese on show this was a welcome change given a number of Chianti tastings I have attended where the wines presented show everything but wine made from Sangiovese – an approach as frustrating as it is confusing. Of the five wines we tasted I had two favourites. The first was the Riserva Il Margone 2006 with its spicy nose of pepper and liquorice alongside black plums and notes of tobacco and farmyard. Noticeable chewy tannins and the high acid typical of Sangiovese framed flavours of cherries, plums and liquorice. This is a wine that is completed with food – a pasta or a rich stew of local game meat are the natural partners of Sangiovese. The wine concluded with a long satisfying finish of juicy sour red cherries which resulted in my glass being emptied! The other standout was the Riserva Il Margone 2000 which at 13 years showed a deep garnet colour and a nose belying its age. Aromas of spice and cherries followed through on the palate with flavours of liquorice, sour red cherries, raisined fruit and prunes. This wine continued to open in the glass as the tasting progressed and I have no doubt it would be one of those wonderful wines that reveal yet another layer of flavour each time your glass is refilled. Thanks to the folks at Altaya for organising a wonderful showcase of Chianti Classico and to Tim Grace and his team at Il Molino di Grace Winery for crafting something that allows you to bask in the glow of the Tuscan sun while preparing to step outside into the humidity of Hong Kong! Aromas of black and red plums, liquorice, cedar, leather and something making me think of dusty dirt roads. On the palate, high acidity with medium plus tannins and flavours of sour red cherries, fresh red plums, liquorice, raspberry leaf. A medium length finish of tart red cherries. Aromas of barnyard, raisins, prunes, liquorice, black pepper and leather. Medium plus tannins with a smooth mouthfeel and flavours of cherries, red plums and spice. A medium plus finish of cherries and raspberry leaf. Spicy aromas of black pepper and liquorice, tobacco and farmyard. Medium plus chewy tannins with a smooth mouthfeel and nicely integrated alcohol. Flavours of liquorice, black and red plums and leather. A long finish of sour red cherries. Aromas of black cherries, tar, asphalt, tobacco and liquorice. Fine grained tannins with flavours of cherries, red and black plums and liquorice. A smooth medium finish of cherries and spice. Aromas of plums, cherries, black pepper and a hint of vanilla followed through on the palate with flavours of liquorice, red cherries and prunes. A medium plus finish of liquorice and cherries. 1.Prestige Hong Kong: Drink and Dine. 2013, June.